A single understated hue defines a rugged watch with a weathered leather strap. 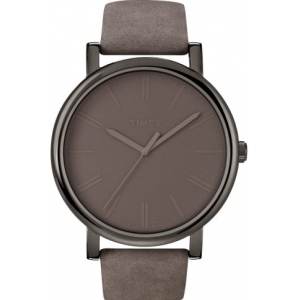 Style Name:Timex 'Easy Reader' Leather Strap Watch, 42Mm. Style Number: 381306_2. Available in stores.